Today, we received our first loaf of bread and pack of salt, the typical German housewarming gift, for this new home in Essen. My neighbour C came over for coffee this morning and surprised me with this fresh-from-the-oven braided bundle of yeast, flour, milk and sugar. 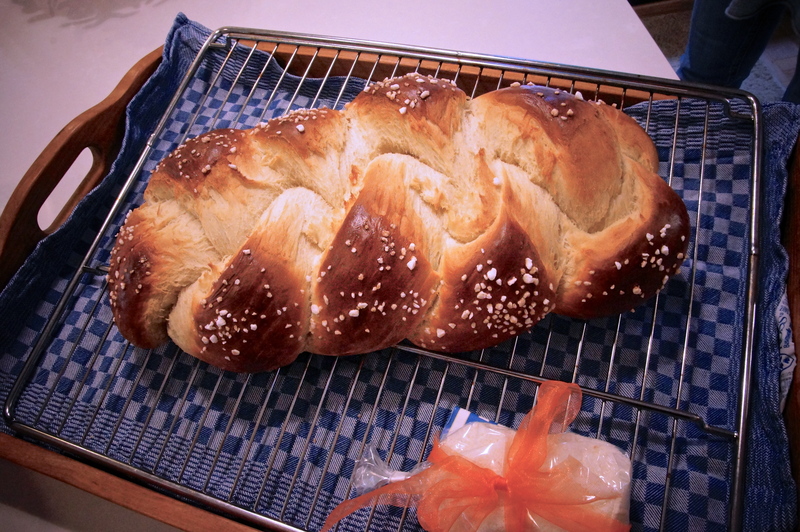 I’m in the process of researching the origins of this lovely German tradition for the German Way Expat Blog. I’ll repost it here when I complete it. Can’t you smell that freshly baked yeast? Perfect with a smear of butter and strawberry-rhubarb jam! Tags: expat moving, German baking, German housewarming gift, German neighbors, German neighbours, German Way Expat Blog, Hefezopf, housewarming gifts, Jane, recipe. Bookmark the permalink. Well, come on back any time, Ms. Emily!